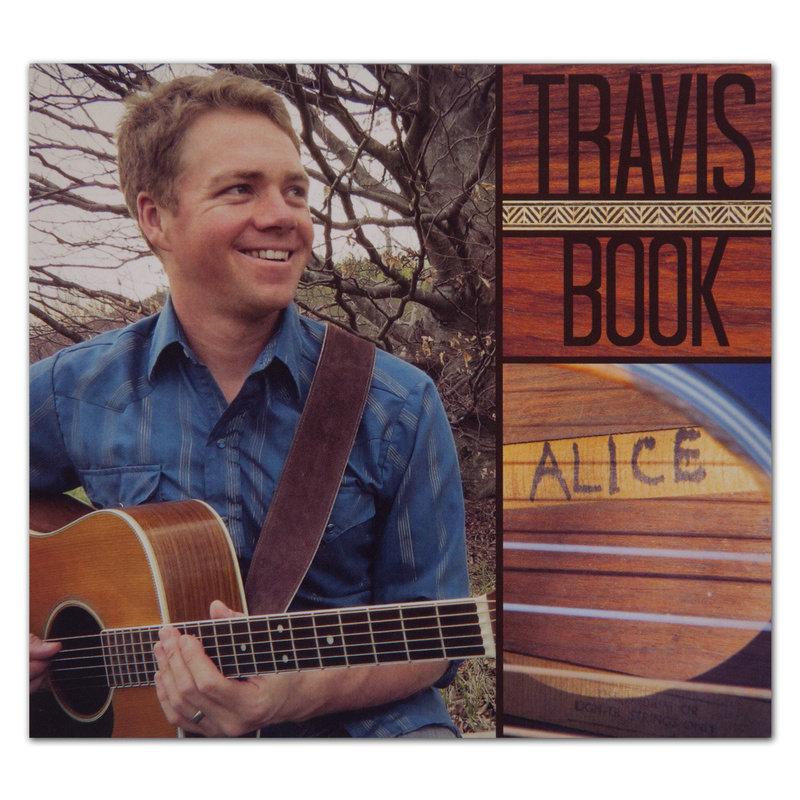 On Travis Book’s debut solo recording, the songs take center stage. Recorded live, no overdubbing, no fixes, just a man and a guitar and ten songs with deep roots. It was 2001, I had only just discovered bluegrass music and Yonder Mountain String Band was my favorite band. I’d heard stories about a songwriter named Benny Galloway, whom everyone called Burle, who had been responsible for helping that band get started and writing some of my favorite songs. Somehow I’d ended up at a picking party in Durango, the first of what was to become the centerpiece of my musical life, and I was hovering around the edge of the jam, watching it unfold. A song ended and the bass player yelled, "anyone else know how to play this thing?" Someone pointed to me and the bass player turned, smiled, and handed me the instrument, the first time I’d ever touched an upright bass. I was face to face with Burle. Thus began a long, deep friendship and apprenticeship with the single most influential musician in my life. Writing sessions, rehearsals, gigs, tours and picking parties, whenever Burle was on the scene, he had his guitar, Alice, slung over his shoulder. She became as much a part of my musical education as the man himself. He gave her credit for the songs they wrote, for 20 years the two of them collaborated to create some of the best music I’ve ever heard. A few years ago Burle finally felt that he’d pulled all he could from Alice and put her away. When I heard a rumor that Burle was considering selling her to finance an upright bass, I called him and offered a trade, only temporary, for my old Miesel, the instrument I’d owned and played during that era. This is how I became caretaker of the most mythical instrument in my world. I’d decided to experiment with playing solo shows and Alice became my guitar of choice. As I played Alice, the songs Burle had taught me and the songs we’d written together kept bubbling to the surface, flowing out of the old Martin D-35 and becoming the centerpiece of my solo repertoire, in so many ways defining my sound. These songs are a part of our shared history, this record a gift for Alice and Burle, a window into my past and a collection of songs that will always remind me of those years with Burle.